The head temple of the Rinzai sect’s Daitokuji school of Buddhism, also known as Ryuhozan. The temple was established by Zen Buddhist monk Shuho Myocho (Daito Kokushi) in 1315, in the latter years of the Kamakura period. It was severely damaged during the Muromachi period Onin War but was restored by Ikkyu Sojun. 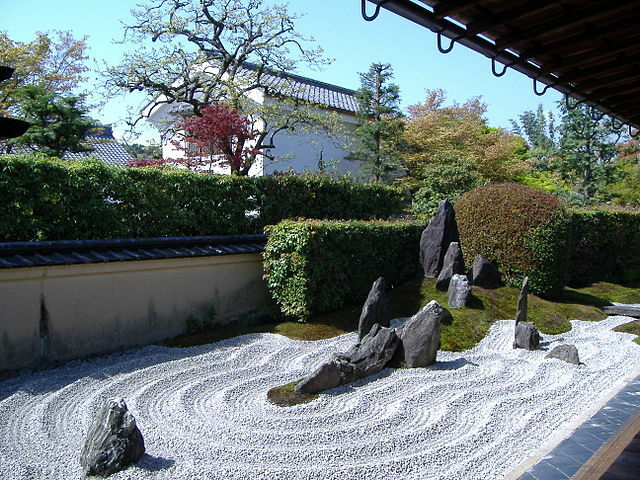 In the wake of the Muromachi period, after Murata Juko, the early developer of the wabi-cha style of tea and other practitioners of Higashiyama culture came for Zen meditation with Ikkyu, Daitokuji developed a close connection with the world of cha-no-yu and many tea ceremony masters such as Takeno Joo, Sen no Rikyu, and Kobori Enshu formed relationships with the temple. The temple has many tea ceremony rooms that are designated cultural assets, such as the Mittan room in Ryuko-in sub-temple, which is a national treasure. 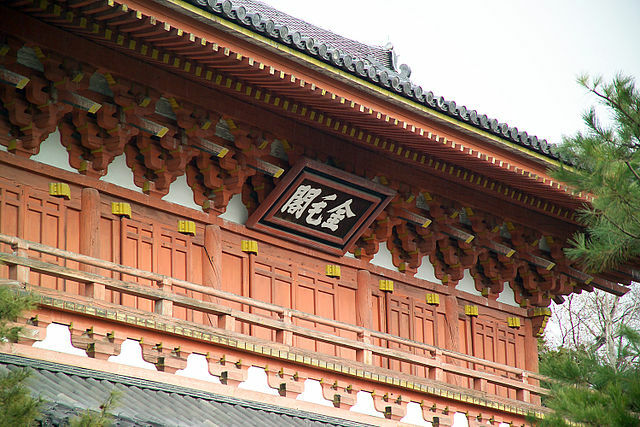 The temple also owns a calligraphic scroll signed and sealed by a former head priest at Daitokuji and a tea cup with a note of authentication contained in a box, items which are loved in the tea ceremony. This prompted the city’s young townsfolk to mock the temple, calling it “Daitokuji no chazura. 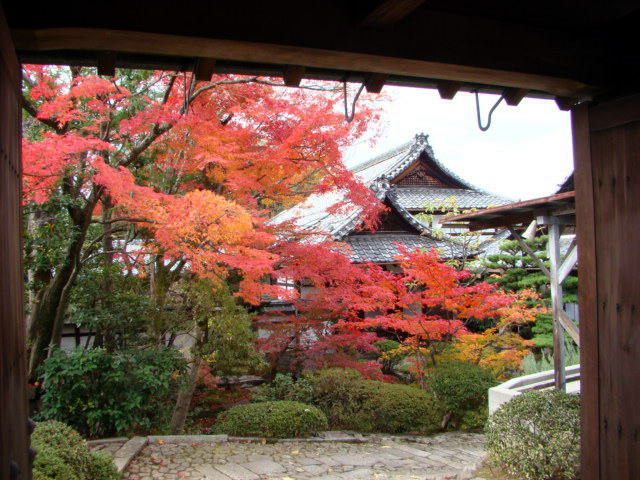 (Family temple for tea ceremony masters)” In the Muromachi period, Toyotomi Hideyoshi held a funeral service for Oda Nobunaga, built the sub-temple Soken-in as a mortuary temple for Nobunaga, and donated land. This set off a flurry of temple building among the Azuchi-Momoyama period commanders. The temple’s Imperial Emmisary Gate, Mountain Gate, Buddha hall, Dharma hall (important national treasures), and the abbot’s quarters (national treasure) and lined up from north to south and create what is known as a complete seven-structured temple compound. The second story of the Mountain Gate was added by Sen no Rikyu and is called Kimokaku. There is a well-known story about the installation of a statue of Sen no Rikyu in the gate so much angering Hideyoshi that he ordered Rikyu to commit ritual suicide. 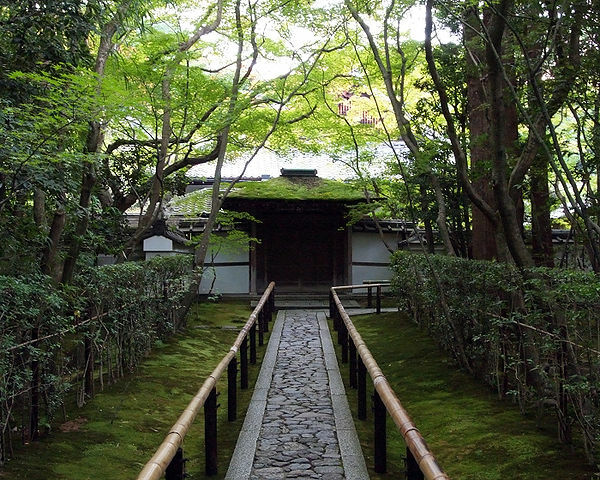 As of 2014, Taitokuji has two branch temples and 22 sub-temples. Two-story mountain gate. The lower level was built in the 2nd year of the Kyoroku era (1529) with a contribution by renga poet Shocho, and Sen no Rikyu completed the upper levels in the 17th year of the Tensho era and called it "Kinmokaku". To repay Rikyu's favor, a wooden statue of Rikyu wearing geta (Japanese sandals) was installed on the upper level, but, because those passing through the gate would be under Rikyu's feet, it is said that this enraged Toyotomi Hideyoshi, which became the reason behind Rikyu's ritual suicide. Sokenin is a sub-temple of the Daitokuji in the Kita Ward of Kyoto. It is Oda Nobunaga's family temple. 100 days after the Honnoji Incident, on the 10th of October, famous funeral services were held at the Daitokuji, as the stage for the fight for supremacy of the Nobunaga Administration, with the task of chief mourner befalling Oda Nobunaga's orphan and Toyotomi Hideyoshi's adopted son, Hidekatsu. 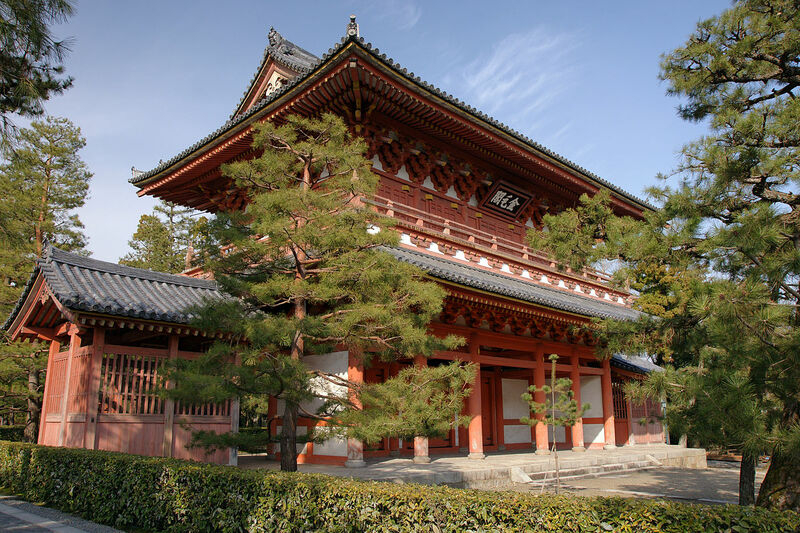 After that, in time for the first anniversary of Oda Nobunaga's death, Toyotomi Hideyoshi had the temple built and it became one of Daitokuji's 22 sub-temples. The founder is the Daitokuji's 117th abbott, Sochin Koukei. It is said that at the time of foundation the group of temples were very prosperous, and the temple grounds were lined with magnificent temple buildings. 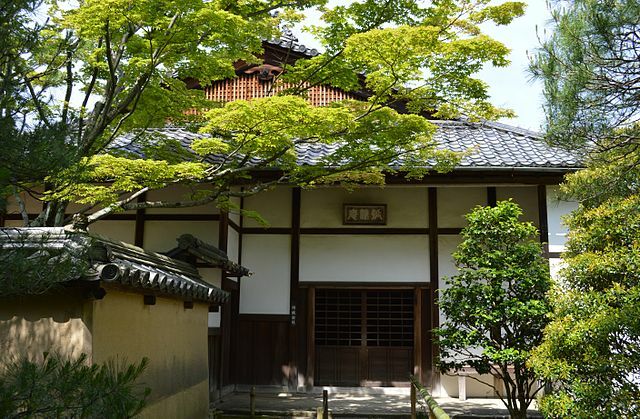 Tadaoki Hosokawa, known as a skilled commander during the Sengoku period and one of Rikyu’s seven dsiciples as a tea ceremony master, built this temple in 1602 for his father, Hosokawa Fujitaka (Yusai), and named Gyokuho Joso the founder. Gyokuho Joso was Hosokawa Fujitaka’s younger brother, and Hosokawa Tadaoki's uncle. Tadaoki died at the age of 83 in 1645, and according to his will his teeth were buried at the Kotoin, which was from then on protected as the Hosokawa family temple. The temple was built and founded in order to hold memorial services for Josui, the father of Kuroda Nagamasa, the first lord of the province of Chikuzen (Fukuoka). Kuroda Toshinaga and Kuroda Kazunari were in charge of the construction. The temple name, Ryukoin, came from Yoshitaka's posthumous Buddhist name, Great Layman Lord Ryukoin Josui Ensei. Because Shun’oku Sōen passed away while in seclusion at this temple, Kogetsu Sogan became the actual founder. 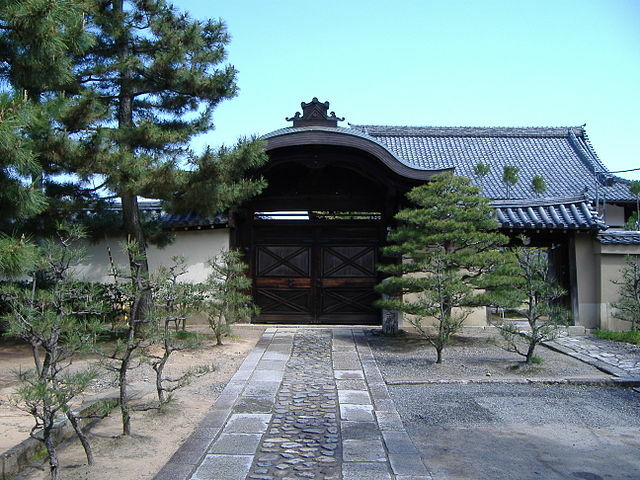 Sogan had a friendly relationship with Kobori Enshū and others, and during his lifetime, the Enshu’s Kohoan Hermitage was also inside the temple grounds. Kogetsu Sogan was the son of Tsuda Sogyu. Many of the famous tea utensils handed down at the Ryukoin Temple are considered to have come into the temple’s possession through bequests that trace back to Sogyu. At the time of its foundation, Ryukoin Temple had numerous buildings and three times its current land. Unfortunately, it reached its current form after being destroyed in the execution of the anti-Buddhist official separation of Shinto and Buddhism that took place in the Meiji Period. Kohoan was built in 1612, inside the grounds of the Daitokuji subtemple Ryokoin (which had been built by Kuroda Nagamasa). It was established by Kobori Enshu, with Kogetsu Sogan as its patriarch. It was moved to its current location in 1643, and inherited by Koun Soryu. It was burned in a fire in 1793, but was then rebuilt based on old blueprints by the daimyo of Matsue, Matsudaira Harusato (Fumai), a tea master who revered Enshu. It is now served by Takugen Kobori, who is the 18th generation to serve it. Otomo Sorin, who was known as the Christian daimyo, invited Tesshu Sokyu and Taiman Kokushi, who he was devoted to, to be founders of the temple, and built it as his own family temple. The temple's name is from "Zuihoin Denzuiho Sorin Kyoshi", his posthumous Buddhist name. When seen from above, its traditional dry-landscape garden looks like a crucifix.